JOANNE O’RIORDAN AND her brother Steven were verbally abused on a train journey after Steven asked passengers not to use the wheelchair space for their luggage. The pair were travelling on the train from Cork to Dublin as Joanne was accepting an award. Her brother told Today FM’s Anton Savage that he moved a passenger’s luggage to another place so that he could clear up the wheelchair accessible space for Joanne. “This lady came up about two minutes later and started moving her bag back into the other wheelchair accessible space. “So I took off my headphones and said ‘you know that that is a wheelchair accessible space’. He was constantly roaring at me about the fact that I had asked this woman to move her bag out of the wheelchair space and that I was a disgrace and that how dare I ask this small lady to take her bag out of the wheelchair space and put it up into the rack, that the bag was so heavy. Steven said he eventually removed his headphones and told the man that he was the disgrace. He told me to sit down and stop making a show of myself and I just continued to say ‘it is people like you that make me embarrassed to be Irish and it is people like you that prevent people like my sister from having a full life and allowing her to live socially within society. “The point that I was making was that the bags should not have been there in the first place. People should have the decency to know that people in a wheelchair might actually want to get on the train and might want to go out and enjoy themselves. The pair didn’t speak for the entire journey and Steven said the entire carriage was very tense. “I nearly did start crying I actually felt like a completely inadequate human being. I felt as if I was the one that was wrong for standing up for my sister. “It wasn’t Joanne’s fault. It was the people who put their bags into the wheelchair accessible space – It was their fault, but I was taking out all my anger and all my upset with the person that I love, and the person that has brought so much happiness in our lives. It’s incredible to think that’s the way that people’s mindsets operate when they see someone with a disability that the person with the disability should be lucky enough to be on the train. That shouldn’t be our attitude. @NolimbsNolimits @SORDIRECTOR That man's attitude does not represent the views of the vast vast majority. Keep the faith. Disgusted to read what happened @JoanneOR_Ox @SORDIRECTOR on @IrishRail bags shudnt be there in 1st place y was this allowed 2happen? Massive thanks to all for kind messages of support! Good to see most ppl are totally appalled by what happened. 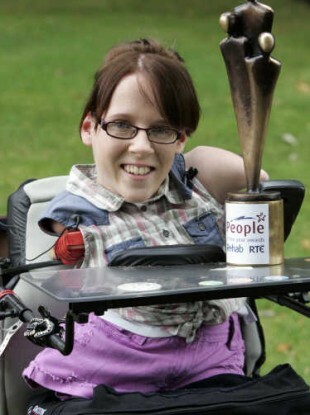 Email “Joanne O'Riordan and her brother verbally abused on train for moving bags from wheelchair space”. Feedback on “Joanne O'Riordan and her brother verbally abused on train for moving bags from wheelchair space”.